Hello Jimmie! 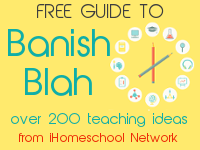 I was wondering if you could discuss daily scheduling for homeschoolers? Up until now I homeschooled multiple children and there never seemed to be enough hours in the day to get everyone’s work done. Now with some changes that are being made in our family, I will only be homeschooling my 9 year old daughter. In the past I gave each child as much time as I could spare, but now that it is only her, I am unsure of how much time we should spend. Quiet honestly I don’t know what to do with myself during the day with only child to homeschool. 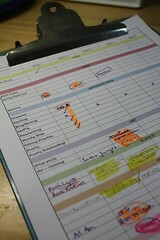 What is your and Sprite’s daily schedule like? Do y’all have a set time on when you do school or a certain amount of dedicated time? I am worried I will overdo it or under-do it. 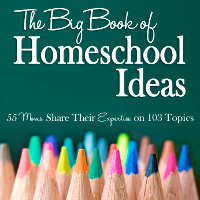 It’s almost impossible to quantify how much time we spend on homeschool each day. Every day is different. But that is a terrible answer and doesn’t get at your question at all. So let’s take an average day, one that doesn’t involve an urgent errand to do, an unexpected guest dropping by, a doctor’s appointment, or any activity outside of home (like art lessons or 4H). Actually, that’s what I call a “good homeschool day,” one when we can focus all our attention on reading and notebooking and learning. We do have a very loose schedule. We begin our day between 9 and 10 AM with Sprite reading her Bible. Then she likes to get her Teaching Textbooks math lessons done. We briefly talk about her scores and what she was learning for math before moving on to some pencil and paper work — things like daily proofreading exercises, spelling, and vocabulary. I’m in and out of the room as she does those quick exercises. I check over them and do mini lessons as necessary. Then we read a poem and look at our art calendar for the day. Sprite usually practices piano for 30-45 minutes each day. Lunch fits in there somewhere. Sprite does independent reading time for 30-45 minutes before we do history and science together. On one of those ideal homeschool days, we are finished by 3 PM. At bedtime, her dad or I usually read from a read aloud novel that may or may not fit into our curriculum. 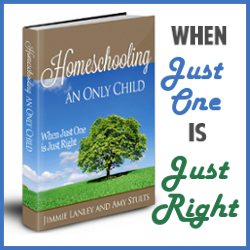 At the homeschool conference, I heard lots of vendors promoting their products, saying “Your child can do this independently without any help from you.” I was surprised to hear it so often. It is obviously a selling point for many moms. Admittedly, if I had a house full of children to homeschool, a curriculum that can be done alone might be critically important. But with only one to teach, I am not pressed for time to spend with Sprite. It is my responsibility and truly my joy to teach her. I am not looking for ways to minimize my time with her so that I can have more “time for me.” Instead I am looking for ways to challenge her to take more ownership in her own learning so she can become an independent learner and a critical thinker. Now, back to Amanda’s concerns. Amanda, I don’t see how you will over do it just because you are teaching only one. Your assignments can still be the same amount as before. But now you have more time to interact with your daughter on them. And, of course, you can invest more time in some of those fun extras that you couldn’t afford before. The bottom line is setting goals for your daughter’s learning. Then you spend as much time as it takes to achieve them. If you are truly doing too much, your child is going to give you some clear signals. Enjoy your new homeschooling situation, Amanda! If my readers have more advice for Amanda, please share that in comments here. I know she will appreciate it. 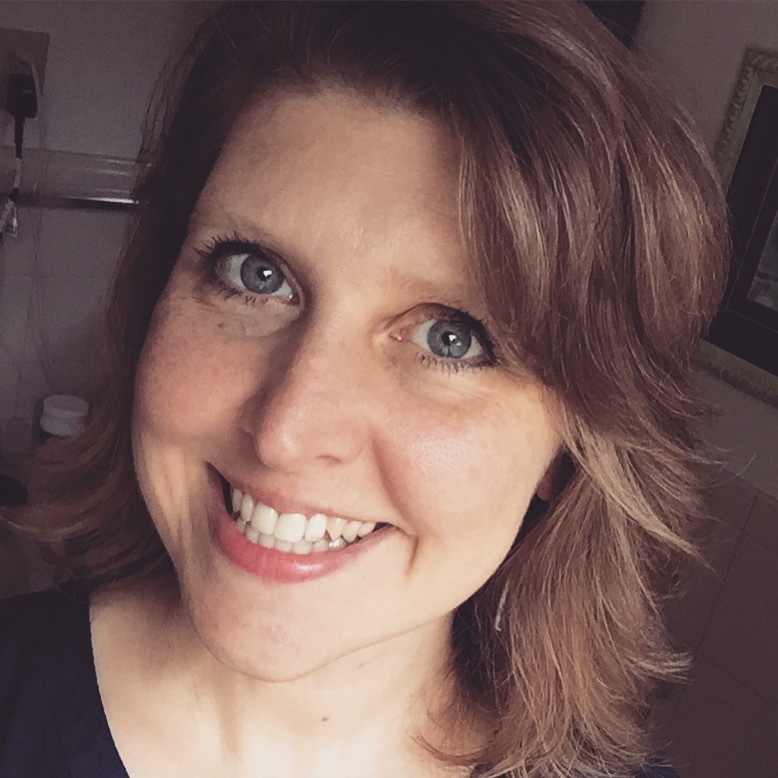 Are You a Homeschool Mom Martyr? Good solid layout for a home school day. You have such wisdom when it comes to homeschooling. The joy of teaching only one child is the enrichment opportunities that may present themselves – to do “delight-directed” studies or present work in a unique way for that child. Your schedule for the basic lessons should take the same time as before, but an individual child may take much longer creating a project/ doing a lapbook, reading and researching and enjoying their learning. Can I ask you why you decided to homeschool rather than send your child to one of the conventional schools? What made you think you could do it and that your child would not lose out educationally or socially? I am considering doing the same with my nine year old son but I have my worries – lack of social interaction with his peers is one of my main concerns.